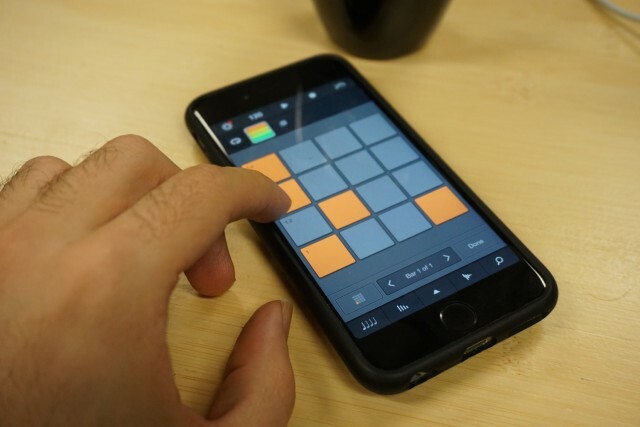 iMaschine, the iOS drum machine, is back in a new version. Now in mini, pocket-able form, you get arrangement and live play features from the desktop edition. For iPhone 6s/6s Plus owners, it also responds to 3D touch. I always keep sketchpads around – literal sketchpads, of the pencil and paper variety. So when software is described as a “sketchpad,” I take that seriously. I’ve spent the past week with iMaschine 2. It does everything iMaschine 1 did, but now adds some very nice features for pocket use. Arranger. At last, you can use loops and scenes in a desktop-style arrangement view. I’m not certain you’d want to really make a serious track this way, but it’s at least refreshing to have easy access to some basic variations, so you aren’t just staring at the same loop. Scale, chord, arpeggiator. So far, I’m actually using these more on mobile than on desktop. On desktop, after all, you have more controllers, actual MIDI keyboards, and so on. 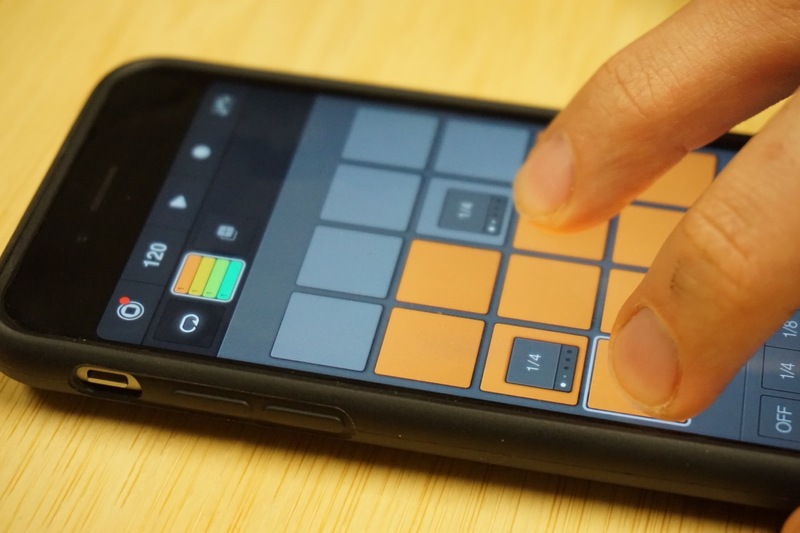 But on your phone, the ability to get scales and chords under your fingertips is absolutely invaluable. It also makes loads of sense to have a 4×4 grid, since even on a big phone that’s what fits reasonably. Color coding. Yay! Actually, this I didn’t use much, which is why I’m completely lazy and copying NI’s screen grabs. 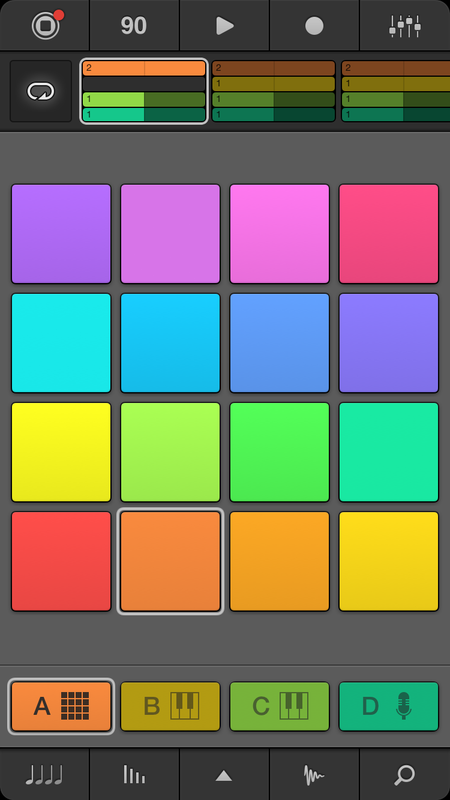 On the other hand, I could see this being very useful in color-coding prior to Maschine, so since I’m even lazier on desktop, I can now fiddle with this while I’m waiting around with my iPhone. 3D touch. Apple has made a big deal of 3D Touch – the ability to press harder on the surface of your iPhone 6s/6s Plus and get continuous pressure or unlock a contextual menu and other functionality. 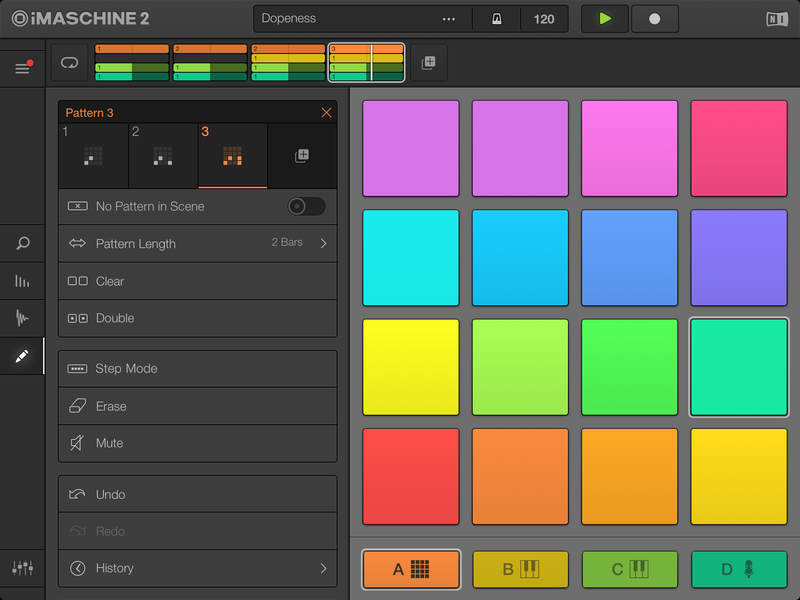 The “right-click”-style feature is now throughout iMaschine 2. It’s cool, though some functions are more useful than others. 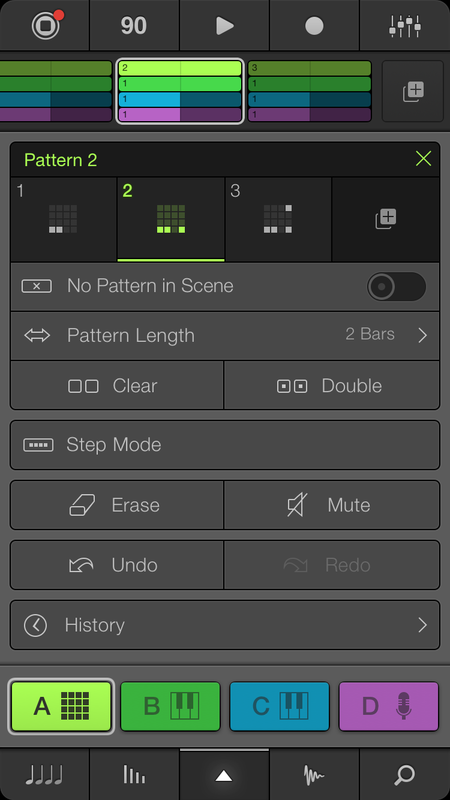 There’s now a shortcut to record samples from the main icon. 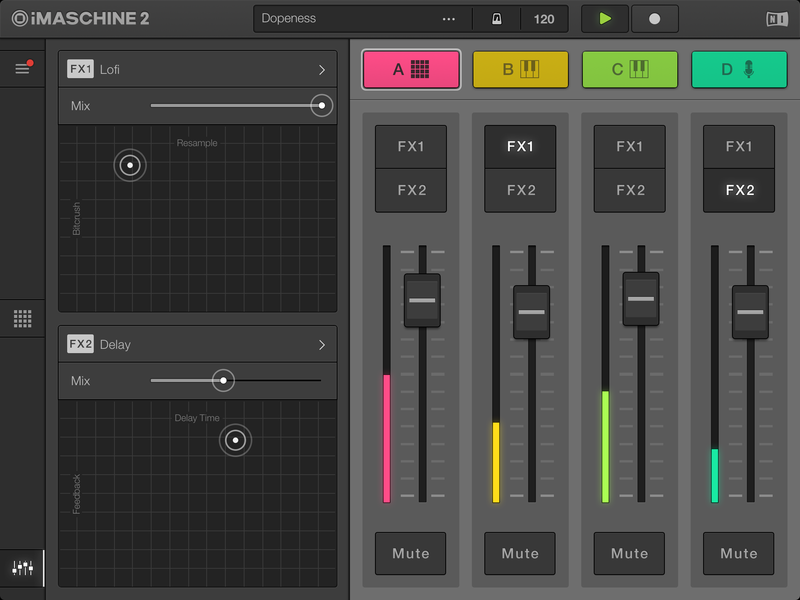 The problem is, that will open a new project; I found it easier just to launch iMaschine on its own and add samples to an existing project. In arrangement, 3D touch is great: you can mute pads, erase notes, and best of all, enter Step Mode quickly. Cheaper pricing. US$4.99 instead of the usual $9.99 for a limited time. As usual, there’s no upgrade pricing – blame Apple – but come on, a $5 upgrade is cheaper than lunch around NI’s offices (unless a single Döner satisfies you). 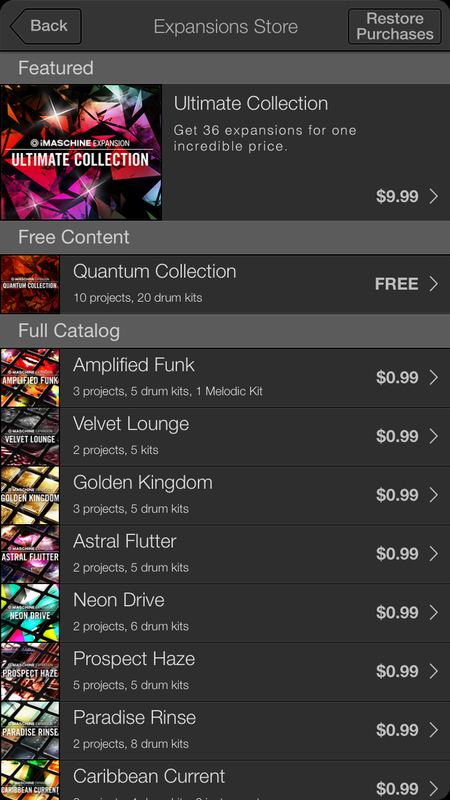 Also, NI has quietly made all 36 iMaschine expansion packs available for a buck until the beginning of December. Now, I’m actually happy to keep sampling weird clinks of beer glasses and whatnot, but some of you I assume will find this useful. I also sketched out a goofy track lying in bed. This is stuff you simply wouldn’t want to do with a laptop or other hardware. And with used and refurbished iPhone prices not terribly high, it’s again a win not just for NI but for Apple phones over their Android counterparts (at least for now). It is simply wonderful to work with this on an iPhone then come home to a selection of project starters on Maschine back on your Mac or PC. Still a lot of things on my wishlist… I’m aware NI probably doesn’t want to cannibalize their more lucrative desktop software with the iOS version, but there are a lot of things I miss. More effects would be nice (like Maschine’s excellent reverbs). The internal mic on the iPhone works well, but the absence of external hardware support seems like a huge omission. The absence of MIDI is especially disappointing for mobile producers. 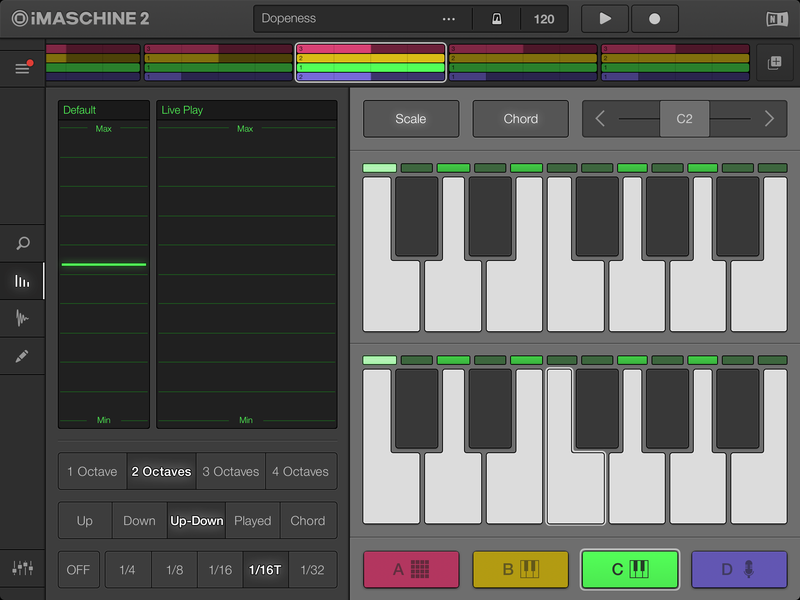 At the very least, it’d be awfully fun to get MIDI clock from desktop to mobile. 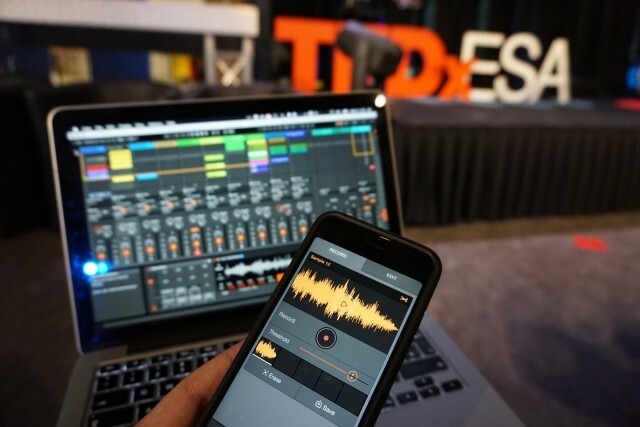 Alternatively, Ableton’s terrific wireless Link technology would be perfect here – I’d love to trigger some extra, impromptu sounds on my phone or tablet next to a full desktop rig. I hope the “not invented here” syndrome doesn’t stop NI from embracing what appears at first to be a really great SDK. On the other hand, none of this is stopping me from having fun with this app. Yes, yes, there are other apps that arguably do more – but none, I find, is as quick and efficient as iMaschine, and the desktop integration features to me are a winner.